Entertainment Earth Exclusive - The embers of justice will shine through the shadows! Unite the league and battle the darkness with this line of blue glow-in-the-dark heroes. 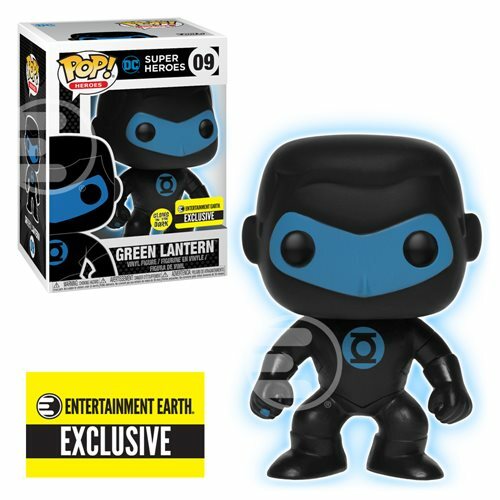 This Justice League Green Lantern Silhouette Glow-in-the-Dark Pop! Vinyl Figure - Entertainment Earth Exclusive measures approximately 3 3/4-inches tall and comes packaged in a window display box.